Angela (Wee Ang, the party animal of the family!) has worked in the Salon for many years, and is a key member of the team. Wee Ang used to be partners in crime with Alexis (when she was a party girl too), so now as Alexis has settled down, Wee Ang has to fly solo! 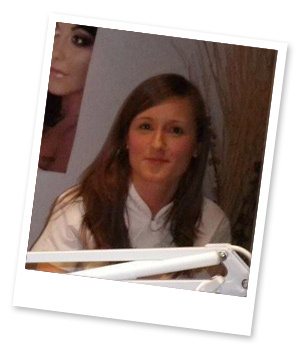 Angela works for Glasgow University during the day and by night in the salon! Angela went to College Commerce to study Beauty and she specialises in waxing, spray tanning and party lashes.